While vehicles and fuels currently on the market get travelers from Point A to Point B, are there new options that could save fuel and money, while also delivering higher performance and cleaner air? Co-Optima research is exploring ways to do just that, with the science and engineering needed to create engines and fuels that work more effectively together. Co-Optima researchers are considering blendstocks that can be produced from a wide variety of renewable and fossil resources, with a focus on options that can be sourced from domestic cellulosic biomass and similar renewable, non-food, and surplus resources. The blendstock production, fuel property, and engine performance data uncovered through the Co-Optima initiative are making it possible to conduct a detailed assessment of bio-derived blendstocks and identify areas where further R&D is most likely to net meaningful results. With light-duty vehicles, researchers are investigating ways to improve near-term efficiency through the identification of fuel properties and design parameters that maximize performance for spark ignition and multimode combustion approaches. For medium- and heavy-duty vehicles, the focus is on reducing engine-out emissions while maintaining or improving efficiency in advanced compression ignition approaches. 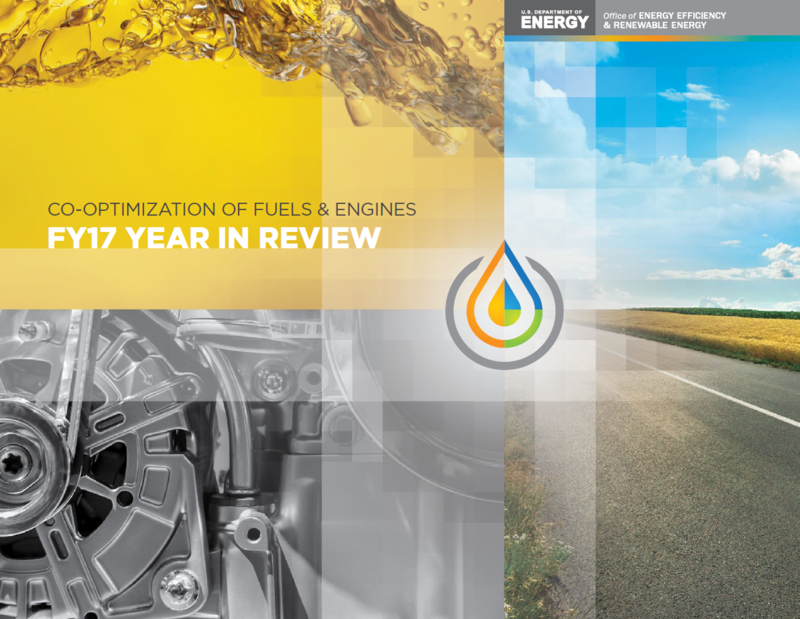 Read more about the Co-Optima Initiative's FY17 accomplishments in the Co-Optimization of Fuels & Engines FY17 Year in Review.